I remember way back during my grade school days, there was the skirt-over-jeans and tank tops/spaghetti straps-over-t-shirt trends. Remember those days, 90s kids? I think I can never do the jeans one again though, haha! But the latter is something that inspired me for this outfit. Love everything about this dress! 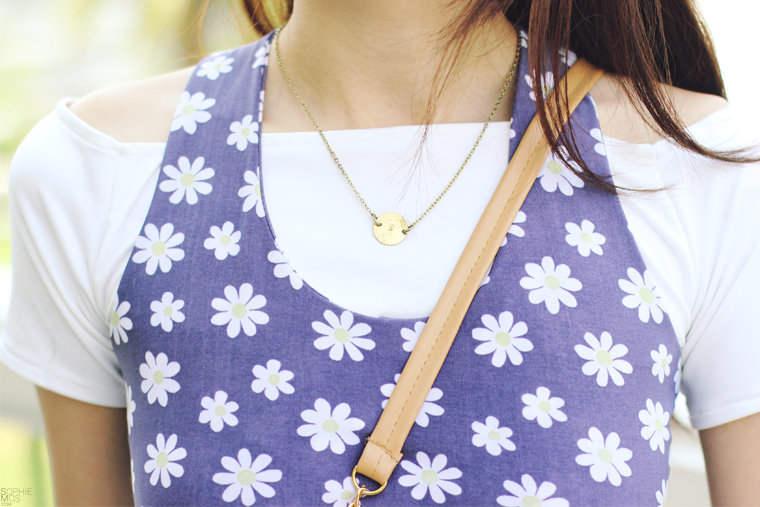 From the daisy print (my addiction) to the back detail cuts, it’s definitely more than a casual Sunday dress. Been abusing this necklace for quite a bit. Love how simple & personal it is! What do you think of my look? Would love to hear from you guys!